The UTStarcom’s PJ-11AT is a Power over Ethernet (PoE) Injector fully compliant with IEEE 802.3af/at standards. The product provides remote power to various IEEE802.3af/at PoE compliant devices, such as wireless access points, pan-tilt-zoom (PTZ) IP cameras and videophones, and thus helps to expand your network beyond limits set by site power availability. 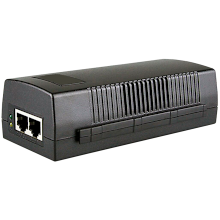 The PJ-11AT is equipped with one Ethernet Input (data only) port and one Output (data + power) port that is used to deliver both data and power to a PoE device, providing great flexibility in installation and simplifying site acquisition in various use cases. 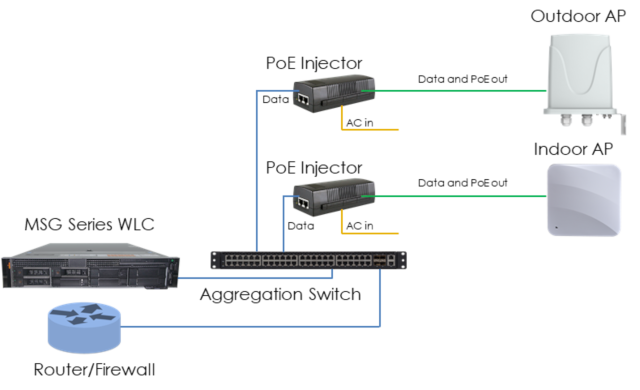 The product supports 10/100Base-T networking devices as well as high-performance 1000Base-T devices, such as Wireless Access Points, and can be used in green-field deployments, or as an upgrade to existing non-PoE networks enabling them to instantly support modern PoE devices without the need to replace existing network infrastructure.